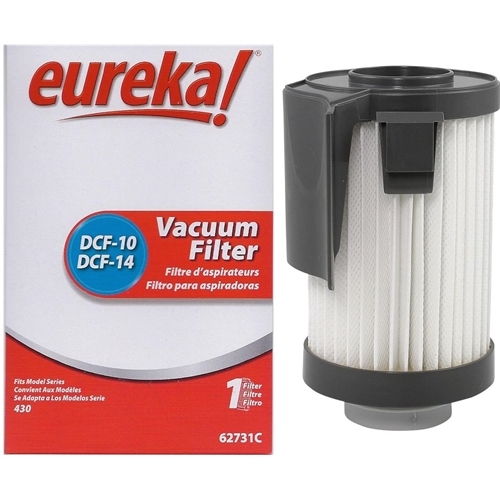 Eureka Dust Cup Filter DCF 14 With Arm & Hammer. Now with Arm & Hammer Odor eliminator. Fits All Eureka Optima 430 Series Vacuums using the DCF 14 (62731) or the DCF 10 (62396) Filter.